At NATURE’S TABLE™, we believe every dog deserves healthy, wholesome food. That’s why our dog food is packed with high quality, natural ingredients that are sourced responsibly. And of course, with all that natural goodness, you can be confident it tastes great too. 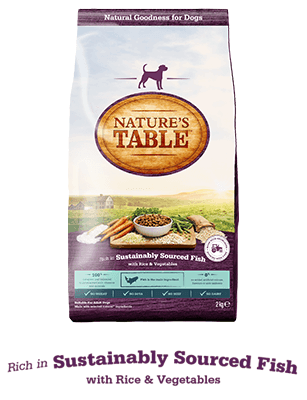 Ingredients say a lot about the quality of a dog food which is why we believe in making Nature's Table™ recipes using lots of natural ingredients. We believe the closer we are to nature the better for us and the same goes for our dogs. 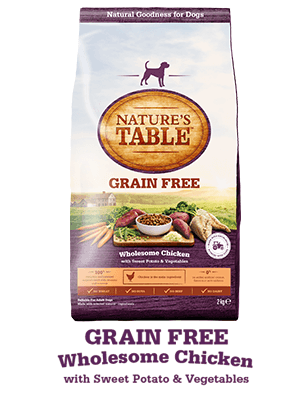 When making Nature’s Table™ dog food, we carefully and Responsibly Source ingredients which are Natural and meet our High Quality standards. We then prepare every recipe using our expert knowledge so each mouthful is packed with natural goodness. And of course, with all that natural goodness you can be confident it tastes great too.